Einstein emphasizes that if we want to immerse ourselves in new experiences then we should never be afraid of failure. It took me several challenging and rewarding years to finally appreciate his words. Chasing my career ambitions at Medtronic, struggling as an underdog in grad school, and sculpting my identity in undergrad have often pushed me to my limits. Throughout these challenges, I have persisted thanks to the strong values of faith, scholarship, integrity, and leadership that I learned at Holy Family. Retrospectively, my experiences at Holy Family have undoubtedly given me the courage to make mistakes and the resilience to keep trying new experiences. In high school, I remember my dream career changing weekly. One week it was biology because of Mrs. McAvoy’s passion for protein synthesis; a week later, it was computer science because of Mr. Kannel’s programming assignments; just a week after, it was writing because of Mr. Unverzagt’s challenging writing prompts. Having numerous interests and being unable to pick just one was extremely stressful. This was heightened when my peers would easily choose one passion as their career paths. At that point, I learned to have faith. My parents and teachers reminded me to have faith in my natural instincts. They encouraged me to grow all of my diversified interests. Little did I know that a career existed out there which would merge all of my passions together. In undergrad, I pursued a Bachelor’s degree in Biomedical Engineering, with a minor in Computer Science, at the University of Minnesota. At the time, I chose this major because it fused my interests in Biology and Computer Science. My engineering classes were extremely challenging and some days I would question if I chose the right path. I began to understand that learning and scholarship do not imply merely hitting the books. I developed a thirst to constantly learn both inside and outside of the classroom. I even served as the President of the Indian Student Association and engaged in celebrating my cultural roots. By graduation, college had opened my eyes to the value of learning. After undergrad, I joined Medtronic Neuromodulation as a Software Engineer in Research and Development (R&D). In my first project, I helped develop a cutting-edge Android application to provide patients with Spinal Cord Stimulation therapy. This app helped clinicians serve patients suffering from chronic pain. For the first time, my assignments were no longer from a textbook and my work directly improved the lives of real-world patients. This was extremely intimidating and I often suffered from imposter syndrome. This entails feeling out of place and feeling as though you do not deserve the opportunities you receive. I had to remember the importance of integrity. I had to trust in my abilities and relentlessly seek out new opportunities to contribute. Over time, I flourished into a budding medical device engineer. Within a year, my aspiration to serve patients in a greater capacity pushed me to pursue a Master of Science in Medical Device Innovation (MDI) at the University of Minnesota. My masters fed directly into my career and gave me a taste of entrepreneurship in the Medical Device space. Working at Medtronic full-time and studying simultaneously was immensely challenging. Gradually, I began doing my part to lead both grad school projects and work deliverables. At this point, I understood that it’s never too early to take on leadership. Being a leader is not defined by a title. I learned that everyone in a team has the ability and responsibility to lead by example. 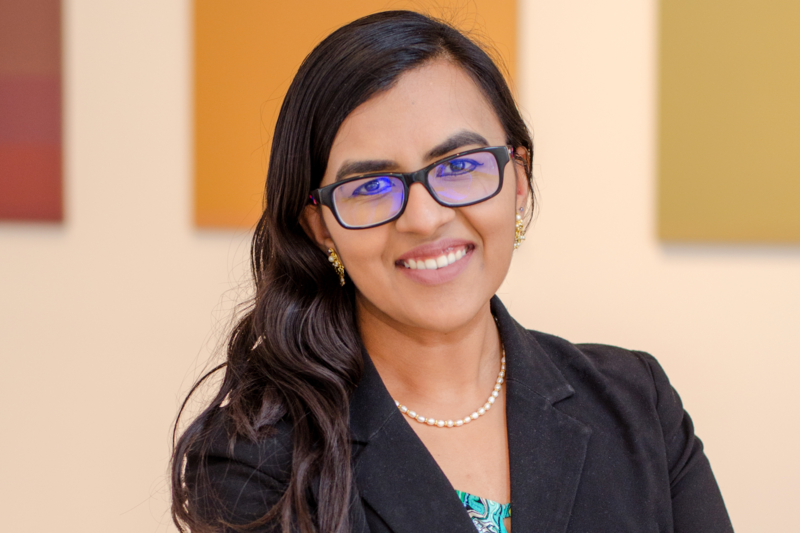 After graduating from MDI, I received two new opportunities at Medtronic: I became a Systems Engineer in the Restorative Therapies Group, and was chosen to co-chair Asian Impact at Medtronic – an employee resource group known as AIM-TC. As a Systems Engineer in R&D, I currently drive the design of a Therapy Drug Delivery system. In AIM-TC, I develop strategy to provide affordable medical devices in Emerging Markets across Asia. It is immensely fulfilling to know that I am doing my small part in making a huge difference in the lives of patients all around the world. My life has been an extraordinary journey thus far. My parents are a source of inspiration for everything that I have pursued. They arrived as immigrants from Pune, India, in 1994 and persisted against all odds to achieve their American Dream. It is their undying faith, unwavering integrity, fearless leadership, and passion for learning and scholarship that continues to push me to bravely chase my dreams. They bestowed upon me a life changing education at Holy Family. I still meet up with friends from Holy Family; Sarah Singsank ’10 can vouch that we still recite lines from our 2010 Math Rap. My friends inspire me to jump into new endeavors. I recently started doing Stand Up Comedy and am the drummer of a band called Tomorrow’s Leftovers. I try to live out Einstein’s ideology about never letting failure hinder me from trying new experiences. It doesn’t take an Einstein to realize that mistakes are a part of life. Never be afraid of trying something new. Feed the FIRE within.